Why You Should Become A McColly Real Estate Agent Today! Diane Trippeer was 36 years old and a stay-at-home mother when she decided it was time to pursue a career. Trippeer, a Broker Associate, CRS Certified Residential Specialist and ABR Accredited Buyer Representative with over $200 Million in closed sales, says her father helped persuade her to go with McColly way back then. Over the years, Trippeer’s career has grown as has the success of McColly Real Estate which for the last three years was voted Best Real Estate Local Company/Team in this year’s Times Best of the Region for the 3rd year. In 2017, McColly had 4,728 total transaction sides closed with $845 million+ in open sales volume, ranking in the Top 500 Brokers in the U.S.
“A lot of McColly’s success is based upon how they treat both their employees and clients, their commitment to local philanthropic causes and how they are part of the communities they serve,” she says, noting her daughter-in-law, Tracy Trippeer, a former teacher who grew up in DeMotte, has also joined the McColly team. Within his first six months of working with McColly, Fitzsimmons had nearly $1.5 million in production. Cathy Gouwens, who began working at McColly Real Estate early this year, left the corporate world in Illinois to pursue a career in real estate, a long time passion of hers, and she wanted to do that in Indiana. Impressed by the number of McColly for sale signs she saw throughout the area and wanting to find out more about the McColly School of Real Estate, she walked into the office where Wendy Embry, broker manager for the McColly Schererville office, was working. “She spent so much time talking to me, she was so nice. I thought if everyone working here is this wonderful and caring, this is where I want to be,” says Gouwens, who graduated in December from the 90-hour pre-licensing broker course offered by the McColly School of Real Estate. “I liked the class, our instructor was very helpful, he added humor to the course while still keeping us on track. He gave out his cell phone number and was always ready to help us.” The McColly School, the number one real estate school in Northwest Indiana, was founded in 1987 because the company recognized the need of finding and educating excellent agents. The level of support the company provides doesn’t stop there. Once a new agent joins the McColly team, they’re provided a combination of one-on-one and group training sessions. Along with that, every six weeks, McColly offers an extensive training course called "McColly University" to all new and experienced agents desiring to participate.  In addition, monthly company-wide meetings are held that bring experts from various aspects of the real estate community as special speakers as well as community organizations that are vital parts of the Northwest Indiana Region including Illinois. Gouwens says that real estate offers great career opportunities for those who are transitioning from one career to another, who want to be able to set their own schedule and work the hours that best suits their lifestyle.